Concrete is a solid surface that lasts a lifetime if it has been properly installed. Unfortunately this permanent surface also holds certain substances for long periods. A chalk line is one of those substances. It is meant to make a line on a surface that will be used to guide a saw or line up a wall frame. This special, colored chalk will stain your concrete for a long period of time until it eventually begins to fade. 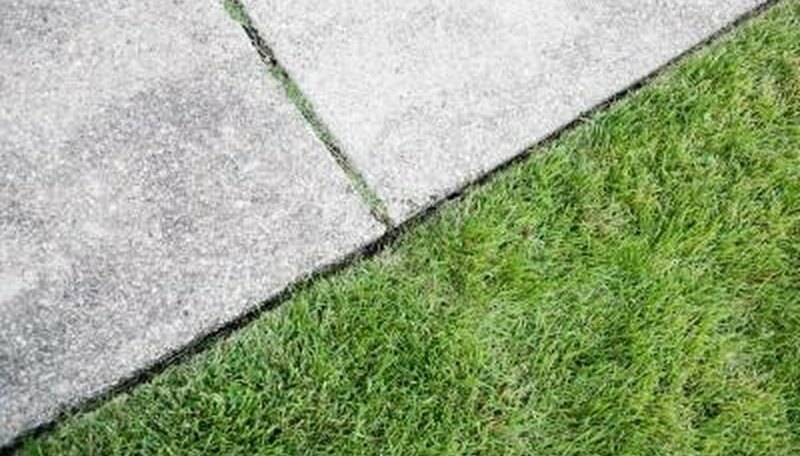 Cutting across the chalk line and filling the gap with caulk will create an expansion joint and remove the chalk line forever. Start your concrete saw using the procedure outlined by the manufacturer. Hold the saw securely in both hands and approach the chalk line. Squeeze the trigger of the saw and let the blade come to full speed. Touch the spinning blade to the chalk line and cut into the concrete. Hold the saw in place and let the blade dig into the concrete to its full depth. Walk slowly behind the saw as you guide it along the chalk line. Turn off your saw when you have cut the entire length of the chalk line. Remove the dust from the crevice with your shop vac. Cut the tip off of a tube of silicone caulk with your razor knife. Flip open the puncture tool on your caulk gun. Push the tool into the opening to puncture the diaphragm inside of the tube. Lay the tube into its seat on the caulk gun. Place the tip of the caulk tube against the crevice. Squeeze the trigger and drag the gun along the crevice as you fill it with silicone. Let the caulk cure for 24 hours. A dust mask and hearing protection are required in addition to your gloves and glasses when using a concrete saw.